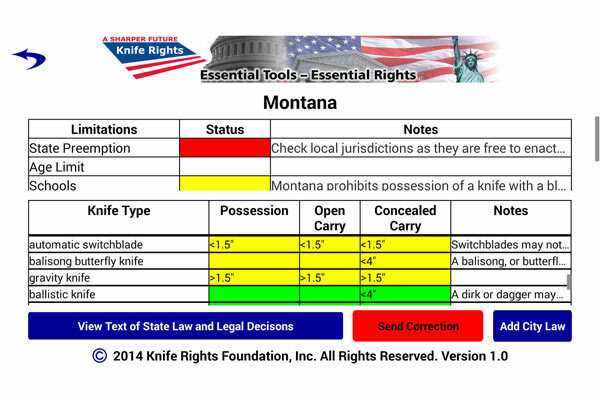 The Knife Rights LegalBlade App provides information about the knife laws of all 50 states, in addition to cities and local jurisdictions. 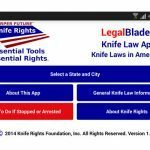 Knife Rights Foundation has introduced its LegalBlade App. 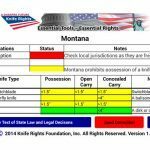 This innovative app provides information about the knife laws of all 50 states, in addition to cities and local jurisdictions. It is available now in the Google Play Store. It will be available in the Apple App Store within two weeks, pending approval. 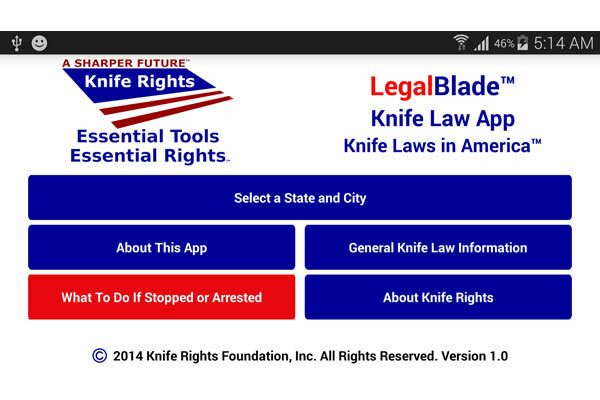 The Knife Rights LegalBlade App includes all 50 states and the District of Columbia. Citiy ordinances are in the process of being added and more will be added continuously going forward. This app was created courtesy of a donation to Knife Rights Foundation. 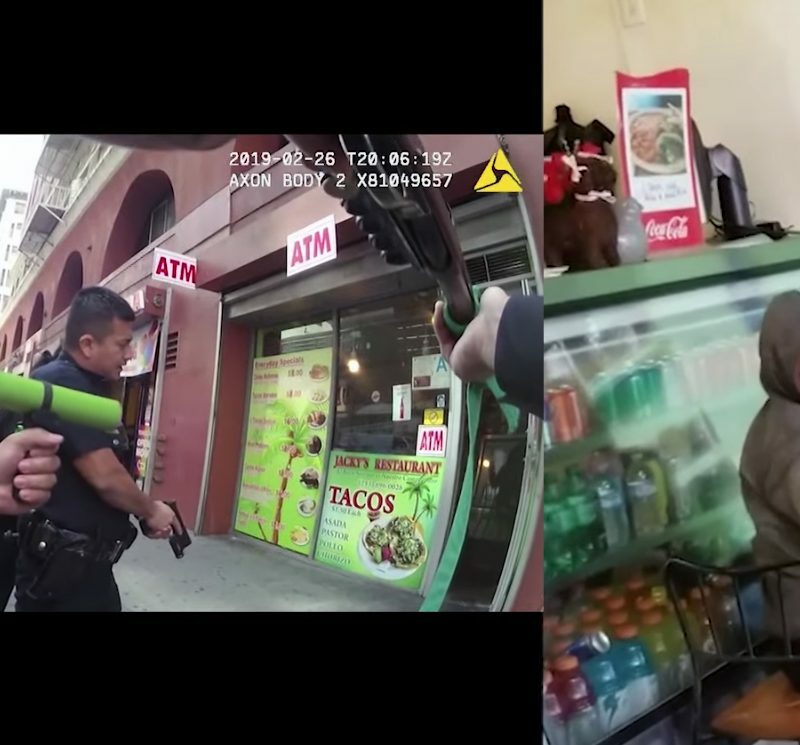 Once out of public beta there will be a nominal charge to ensure Knife Rights can update the LegalBlade App with any changes in the law, add more cities and improve the app with additional features going forward.